The device appears to fit directly into the uniform hat or helmet, but doesn’t feature a “wet” connection in the form of electrodes. 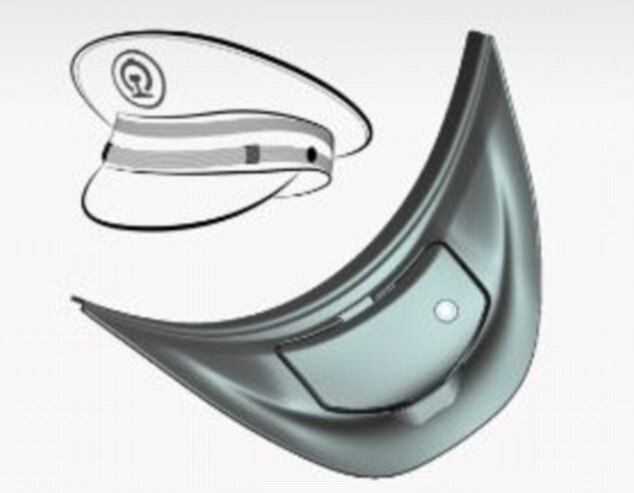 It’s possible the inside curve touches the head, which provides the data feed, but it’s unlikely the device will provide useful diagnostic information. Even less likely is that the data will let employers understand the emotional state of its employees. Data collected using traditional EEGs only provide basic data, and that requires calibration. That hasn’t stopped the State Grid Zhejiang Electric Power from claiming the technology resulted in a profit increase of $315M USD since its introduction. What’s more likely is that employees, aware of the monitoring, are simply working harder because they’re afraid of losing their jobs. This isn’t sustainable. Possible outcomes include increased stress, employee burnout, and, potentially, workplace accidents. This isn’t the only place where the Chinese surveillance state is pushing its citizens. In another story from Hangzhou (Hangzhou seems to be surveillance capital of China), schools are using facial recognition technology to ensure children are paying attention. Again, the likelihood this technology is doing what it advertises is vanishingly small, but the societal impact will be real.